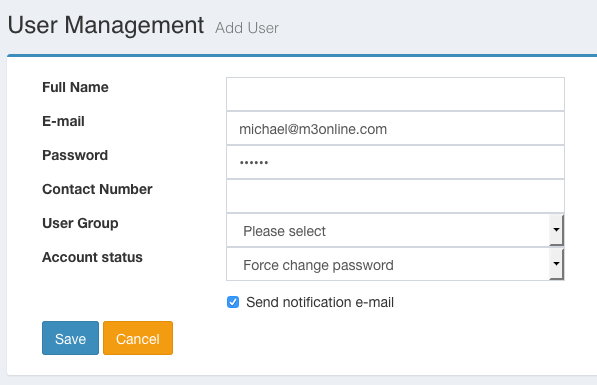 Adding users to your account is a quick and easy process. Follow the steps below and others will be using your app in no time! 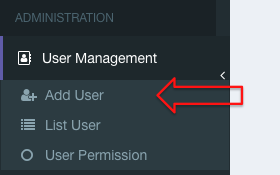 Navigate to 'Administration' and 'User Management' from the left Menu list, then click on 'Add User'. Once you key in all user details, click the 'Save' button.